Hogan took the executive action against the Boycott, Divestment and Sanction (BDS) movement , an effort started in 2005 by a coalition of Palestinian organizations in response to Israel’s occupation of the West Bank territory. 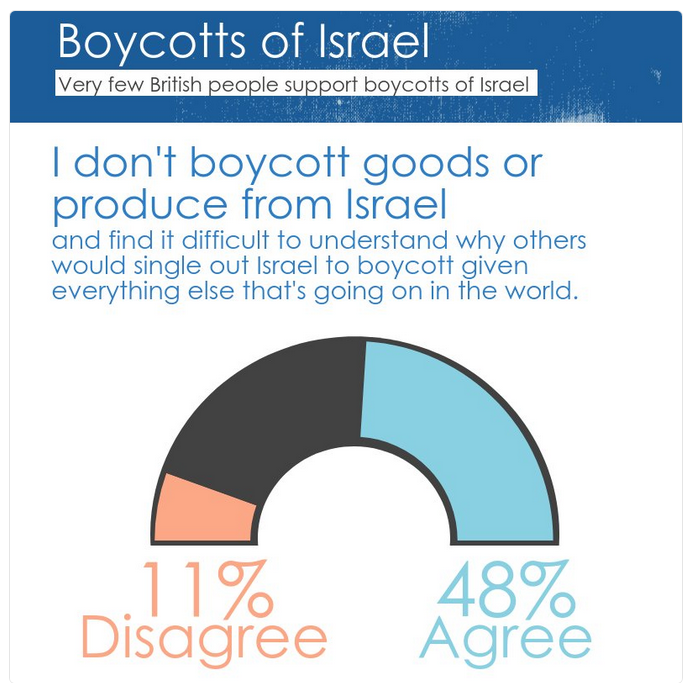 BDS activities include discouraging the purchase of goods produced in Israeli settlements and pressuring international companies not to conduct business in Israel. The Palestinians had hoped FIFA would censure Israel over the settlement teams, thereby forcing them to either drop the clubs from the Israel Football Association or risk losing FIFA membership. Israel scored a rare win on Friday as the Palestinians lost their bid to oust six West Bank soccer clubs from the global body governing the sport, the Fédération Internationale de Football Association. “FIFA’s decision is a great victory for our fight against the boycott,” Strategic Affairs Minister Gilad Erdan said after hearing the news. Wisconsin Gov. Scott Walker signed an executive order that prohibits state agencies from entering into contracts with companies that boycott Israel. Walker, a Republican who briefly ran for his party’s presidential nomination last year, signed the executive order late on Friday. “Israel is a firm and faithful friend of the United States,” the legislation reads. Wisconsin exports over $80 million annually to Israel and imports over $200 million annually from Israel. JNS.org – Institutions from Israel and Wisconsin this week signed two agreements to collaborate on water technology. One accord, between the Zuckerberg Institute for Water Research at Israel’s Ben-Gurion University of the Negev and Wisconsin’s Water Council, paves the way for Wisconsin’s branch of the National Science Foundation to establish an Israel-based bureau. In addition to its agreement with the Israeli university, the Water Council signed a deal with the Israel Innovation Authority to promote research partnerships between the US state’s water technology companies and Israeli firms. The pact aims to develop new innovations for the Milwaukee Metropolitan Sewerage District and other Wisconsin water utilities. The agreements were signed during Wisconsin Governor Scott Walker’s trade mission to Israel this week with a 16-member delegation, and came after the governor issued an executive order last week to ban state agencies from engaging with companies that have ties to the anti-Israel BDS movement. JEFFERSON CITY • Gov. Eric Greitens announced on Friday a pact between the state of Missouri and HackerUSA, a cyber security education firm with roots in Israel. Greitens’ office said he signed a memorandum of understanding during his trade mission to Israel this week, during which the governor met with top officials, including Israeli Prime Minister Benjamin Netanyahu. A record-breaking $1.44 billion was raised by 144 Israeli high-tech companies in the third quarter of 2017, according to a report from the Tel Aviv-based IVC Research Center. Capital-raising in Q3/2017 showed an increase of 14 percent over the $1.27 billion raised in Q2/2017, and a 54% surge from $933 million raised in Q3/2016. The exceptional late round by Via Transportation of $250 million boosted the Q3/2017 results upward, according to the report. Israeli hipsters may never have to shop abroad again, with the arrival of apparel company Urban Outfitters. The trendy retailer is opening its first Israeli store in Tel Aviv’s Dizengoff Center. A Fox Group spokesperson confirmed the store will be opening in a few months from now, and said additional Urban Outfitter locations would follow. The group, which is traded on Nasdaq, its known for its funky combination of apparel, home furnishings and beauty products, appealing to customers who love bohemian, retro and alternative styling. About 250 Israeli-founded companies in the greater Boston area contribute significantly to the Massachusetts economy and innovation ecosystem. Music icon Boy George and his band started a world tour with a performance in Tel Aviv on Tuesday, which marked their first concert in the Jewish state in 30 years. The British BBC network is location scouting for new reality TV show, commemorating Israel’s approaching 70th Independence Day; show set to include 10 Jewish British volunteers from all walks of life reflecting variety of British Jewry, debates on issues pertaining to Israel, Jews. The band, which performed in front of 54,000 people at Yarkon Park in October 2015, has not yet signed a contract to return to the Holy Land, but the sides have exchanged drafts including costs. British singer Robbie Williams, who performed in Israel in the summer of 2015, is also expected to return to Tel Aviv. Canadian-Israeli philanthropist Sylvan Adams meets pope in Vatican, invites him to launch Israeli leg of Giro d’Italia, second most important cycling race; ‘Upcoming race is further testimony to power of sport to transcend politics and division, focus solely on sportsmanship,’ Adams says; PM Netanyahu, President Rivlin also exhort catholic leader to attend Israel’s 70th Independence Day. Returning from Abu Dhabi tournament with 5 medals, Israel’s national judo team greeted at Ben Gurion Airport by Min. Regev, who joined them in singing national anthem, which was barred from Abu Dhabi contest; ‘We showed everyone what we’re worth,’ says gold medalist Flicker. The Abu Dhabi tournament was marred by controversy when its organizing committee refused to allow any Israeli national symbols, including the country’s flag and anthem. However, following a meeting between delegates of the International Judo Federation, Israel and Abu Dhabi it was declared next year the competition’s organizers will do their utmost to showcase Israeli regalia. November 7, 2017 | The city of Tel Aviv-Yafo has won second place at the 2017 European Capital of Innovation, where it received a prize of over $100,000. Tel Aviv-Yafo was among 10 finalists up for the award and prize of over $1 million that recognizes the city with the best innovation ecosystem. Paris was awarded the first place prize for its mission to turn into a “FabCity” hosting the largest start-up campus in the world, which encourages innovative projects by citizens and entrepreneurs. Tel Aviv was recognized for its impressive high tech sector programs and city policies, leading to the highest concentration of accelerator programs in Europe. NEW YORK — Working with mPrest, the Israeli company that developed the Iron Dome missile defense technology, the New York Power Authority (NYPA) will now be able to stop power outages before they start. From navigation aids to imaging technology to cyber security, mPrest’s collaboration with NYPA is one more example of how Israel’s hi-tech industry has adapted military technology for the civilian market. “They [mPrest] were the brains behind the missile defense system and they said it could be used for power plant monitoring,” said Alan Ettlinger, NYPA’s director for research, technology, development and innovation. mPrest, the Israeli firm that developed the Iron Dome missile defense technology, said on Monday that its customer, New Zealand’s Vector Limited, an electricity and gas distributor, has made a $10 million investment in the firm, and will act as a selling partner in the Oceania region. Vector joins current mPrest investors OurCrowd, GE Ventures, Angeleno Group, Israel Electric Corporation and Rafael Advanced Defense Systems LTD. Automotive giants Volkswagen (VW) and Hyundai Motor Company are planning to set up hubs in Israel to tap into the wealth of mobility and smart-car technologies the so-called Startup Nation is churning out. American regulators granted approval to a gene-altering therapy for treating patients suffering from lymphoma, the second-ever approval for a gene therapy procedure and one that could revolutionize how we fight cancer. The drug, named Yescarta, was developed by the Israeli- founded company Kite Pharma and is expected to cost about $373,000 for each patient, likely generating $150 million-$250m. in sales next year. Kite was purchased by Gilead Sciences in August for $11.9 billion, and Wednesday’s breakthrough may have helped with the acquisition. Richard Thaler, a professor at the University of Chicago, won the Nobel Prize in Economic Science for his pioneering work in the field of behavioral economics. The Nobel Committee in announcing the prize for Thaler on Monday in Stockholm said his research helped lead to changes in public policy, such as employees being automatically registered in programs to save for retirement. The BIRD Foundation, a US-Israeli partnership that promotes research and development projects between companies from the two nations, has picked US-based Mantaro Networks Inc. and Beeper Communications Israel to develop unmanned search and rescue technologies that can complement the work of human first responders. Among the line-up at the Institute of Engineering and Technology was an Israeli firm set up in London that scans your phone’s photos then tells advertisers when your circumstances change, so they know when to contact you, and about what. Think, for instance, of that sudden flurry of baby photos, and the inference therein. Some things are still at the experimental stage, but Asher Bennett, a former Israeli submariner who founded Tevva Motors, has just been given permission to ‘play around’ with Leeds, controlling its transport via ‘the cloud’ and apps. His company develops range-extenders for electric trucks, but he’s taking it to the next level and setting his sights on an “emissions-free city”. Israel is not a uniquely bad country. Guardian coverage of Israel is uniquely bad journalism.